When most people think of their dentist, they think exclusively of teeth. But did you know that your dentist can actually help figure out why you’re experiencing constant headaches? At The Diablo Dental Group in Danville, California, a team of experts will determine whether your tension headaches are being caused by a dental condition. Call or book an appointment online today to learn more. How are my headaches related to dental problems? TMJ is the most common cause of headaches in patients whose chronic headaches stem from an oral health problem. While you may notice pain in your jaw or a clicking sound when you chew, you may not realize you have TMJ until you start experiencing dull tension headaches. Though less common than TMJ, a tooth infection can cause a variety of symptoms, including headaches. If you have a cavity or tooth infection, pain can radiate throughout your mouth, neck, and head, leading to a persistent tension headache. That’s why it’s important to schedule a routine cleaning every six months or so at The Diablo Dental Group. Is TMJ causing my headaches? In most cases, TMJ worsens during times of stress and does not get better on its own without proper treatment. Malocclusion occurs when your teeth simply do not fit together properly, leading to a misalignment problem in your bite. This misalignment can put strain on the jaw over time. To correct your bite and alleviate jaw pain, the dentists at The Diablo Dental Group offers dental crowns and resurfacing options, which improve your bite and help your teeth fit more properly together when you chew. Also known as teeth grinding, bruxism can wear your teeth down over time, leading to problems in your bite. Like malocclusion, teeth grinding ultimately puts stress on your temporomandibular joint, causing constant pain and jaw strain. The Diablo Dental Group team can help by creating a customized orthotic to separate your upper and lower teeth at night and prevent them from grinding any further. Headaches caused by oral health problems are not likely to resolve themselves on their own. 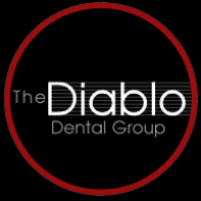 To ease pain and discomfort, call The Diablo Dental Group or book an appointment online today.